In a sentence or so: Listen, pre-teen hearts are on the line and some people need to know that Origami Yoda is LEGIT before they take his advice! This is a case study on all of his work thus far to document the wisdom of Origami Yoda and the weirdness of his creator, Dwight. Dwight is a weird kid. No one is denying that. He digs holes and sits in them in his backyard. He yells "purple" as a conversational response. But perhaps the most weird thing about him is what gains him the most social street cred - he has an origami Yoda on his index finger that gives advice. Good advice! Essentially this book takes different kids from Dwight's middle school and gives them a chapter to describe their experience with Origami Yoda (and by association, Dwight). Some of the kids are more forgiving and understanding, while others outright judge and scoff at Dwight and Origami Yoda. Where THE STRANGE CASE OF ORIGAMI YODA really soars as a novel is the underlying message to be yourself and let your freak flag fly. We're all weird in our own way. Some of us have paper Yoda on our finger, some of us only eat tofu and others of us blog about books. Really, being weird is accepting who you are and what you're about and having the confidence to show that each and every day. Easier said than done for middle school kids, I know. 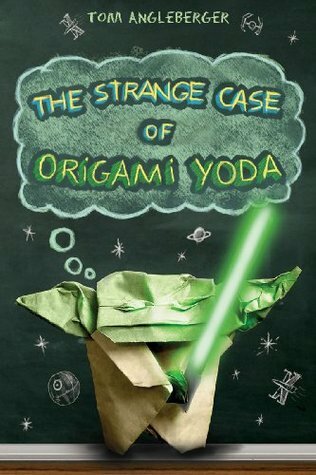 THE STRANGE CASE OF ORIGAMI YODA is a fantastic example of Middle Grade at its finest because the narrators are silly, awesome, sincere, and trying to get through middle school without being supremely humiliated all while balancing finding out who they are and why they matter. This book made my heart so happy. 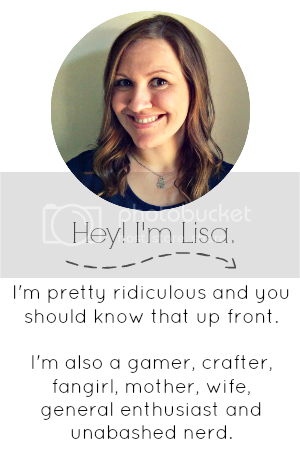 Not just because of the Star Wars references, or the doodles, or even the nerdiness of it all. THE STRANGE CASE OF ORIGAMI YODA takes the legit issue for Middle Grade kids of confidence and accepting ourselves and frames it in a way that is uplifting, hopeful, and absurdly silly. Fave Quote: "Or maybe Dwight's not as weird as I thought. Or maybe it's a good kind of weird. I don't know." Pairs Well With: The force, it does. Unrelated: The first ever author event I went to was for Tom Angleberger and he is super rad. FYI. I love Tom Angleberger, too! I used to work with him and he's a good guy. The real deal, if you will, in my opinion. I really love the fact that this book basically tells the reader that it's perfectly OKAY to be who you are. Yes, not all people will get it sometimes, but there are people who will get it and love it FOR SURE! Glad to hear you enjoyed this one! Oh my goodness gracious, we have every one of the books in this series on MY shelf so they remain on neutral territory for anyone in the house to pick up at any time. (I do not like people fighting over books - they are the gift that keeps on giving, you know.) They are so awesome. I can't tell you how many origami yodas I've moved around the house too where someone in the house has made one for his or herself. Such a fun book and series! In which I never want to leave the house, ever.